Not every little girl sees themselves as an Ana, or a Cinderella. Not everyone wants to have a wicked step mother like the Evil Queen in Snow White. Some want to be different. They want to fight along side the boys like Mulan, and they want to sail across the sky on a magic carpet like Jasmine. Your little girl is one of those who likes to be different. She was fine with Frozen. She even liked the Beauty and the Beast, but she loves Aladdin. She loves Jafar as the bad guy, and Iago the bird. She thinks Genie is the coolest character in the whole Disney catalog. (We totally agree, he is the coolest dude ever!) But she likes Jasmine the most. She loves how she looks, and Rajah her pet tiger. You can make her day when you show her this Jasmine Classic Toddler Costume. She will want to put it on, and never take it off. She might even start calling the dog Rajah (which admittedly is a cool name). 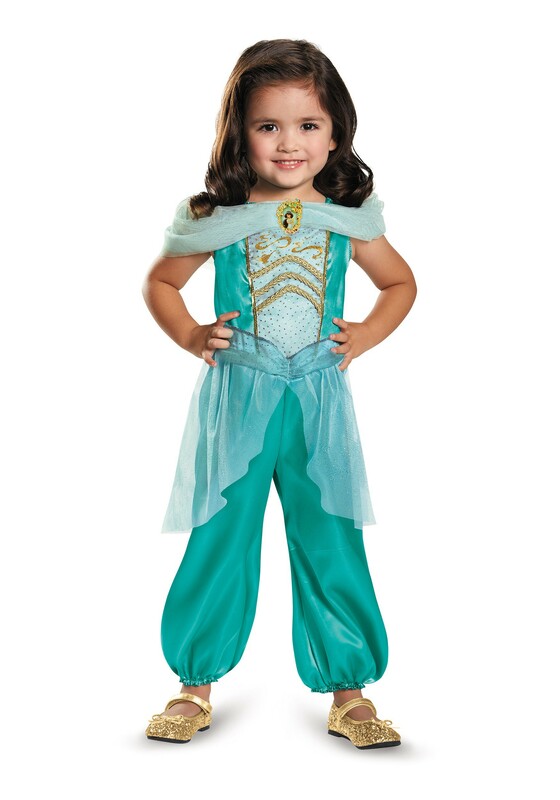 She will be able to play her favorite princess, pretending the rug in the hallway is taking her to some far off distant land, as she sings A Whole New World. She doesn’t want to be Elsa. Nor does she want to have some Evil Queen running after her. No she will take the Arabian Nights everyday of the week! The only trouble you will have will be getting her out of it so you can clean it.